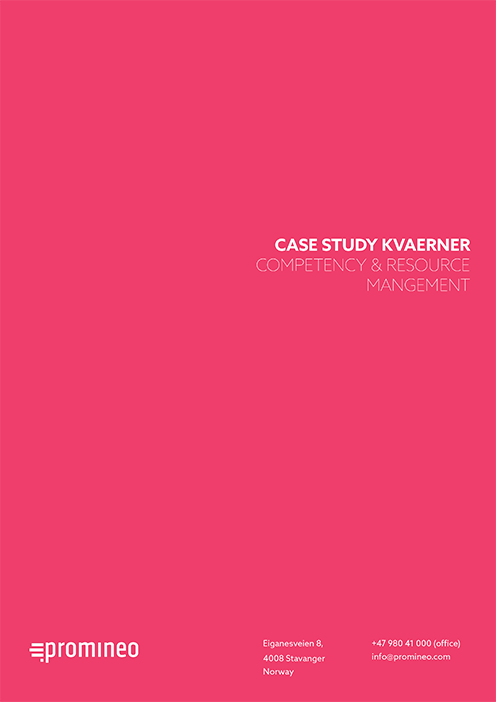 Kvaerner has chosen Promineo as the provider of digitalized project staffing. This means everyone involved in staffing of projects and forecasting of future need versus capacity are using Promineo’s resource management software to ensure optimal utilization of human resources. 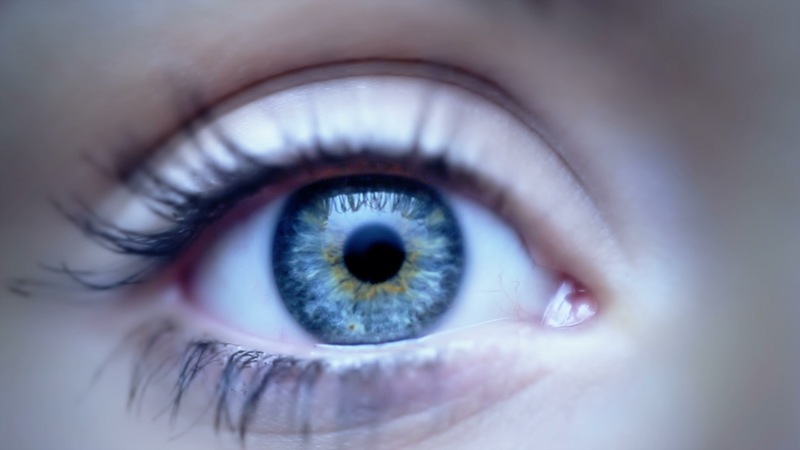 Whitepaper - Digitalization, Where to start? 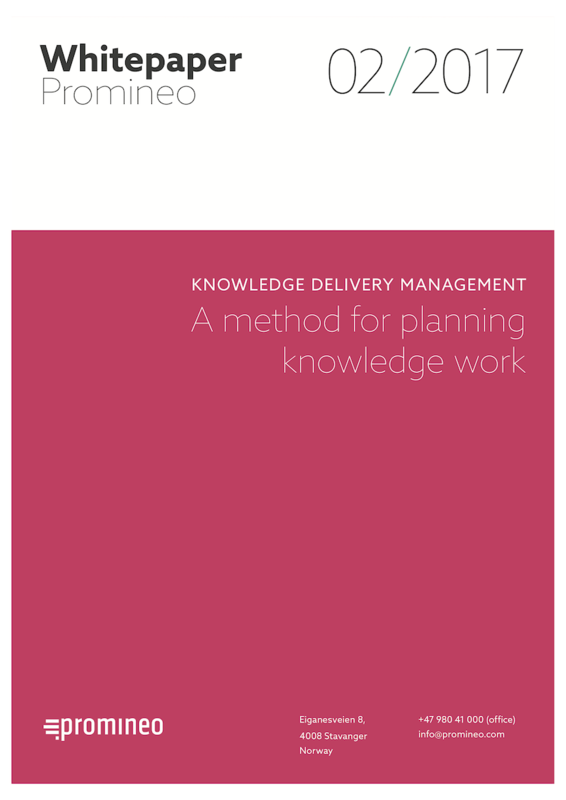 Introducing the concept of Knowledge Delivery Management - a method for planning knowledge work. The objective is to lay the foundation for moving from people centric to a knowledge centric approach in resource management for better results. 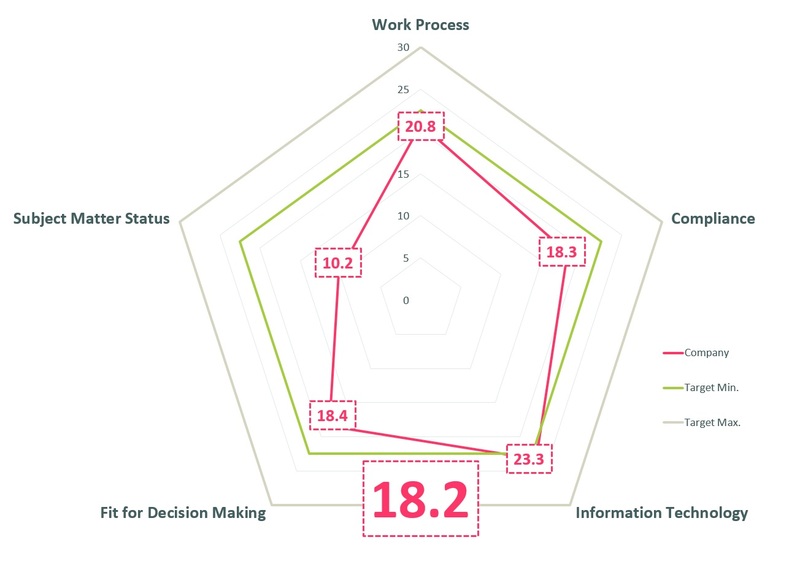 The Study Teaser document describes on a high level the content and output of a study that Promineo offers to help companies evaluate and improve the process for managing knowledge workers. 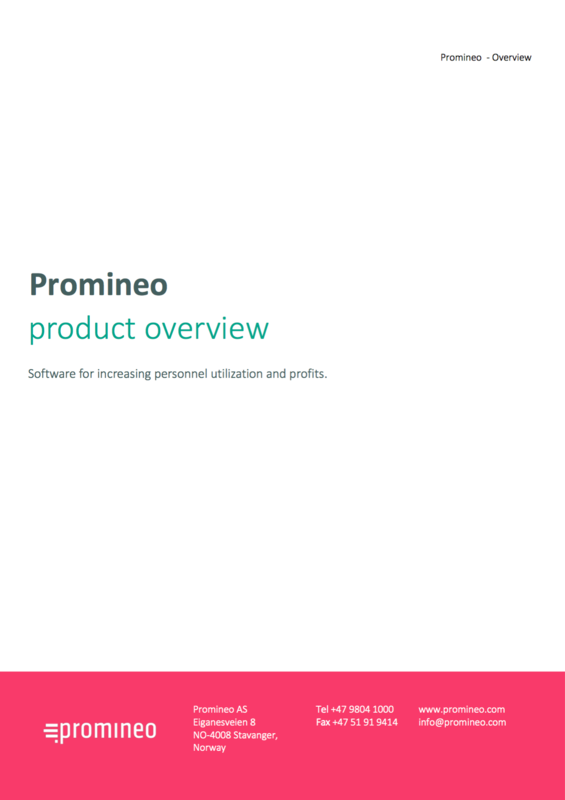 Promineo is a commercial off-the-shelf software (COTS) designed to help project organizations achieve better personnel resource utilization , higher productivity and increase profits. Download document for more information. 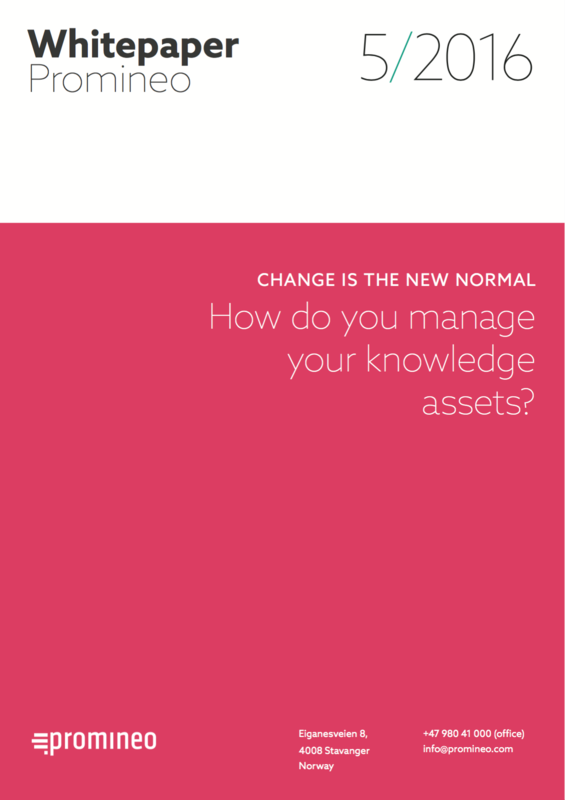 How do you manage your knowledge workers? Are you in danger of losing control of your most important asset – your engineers, designers, consultants and developers?